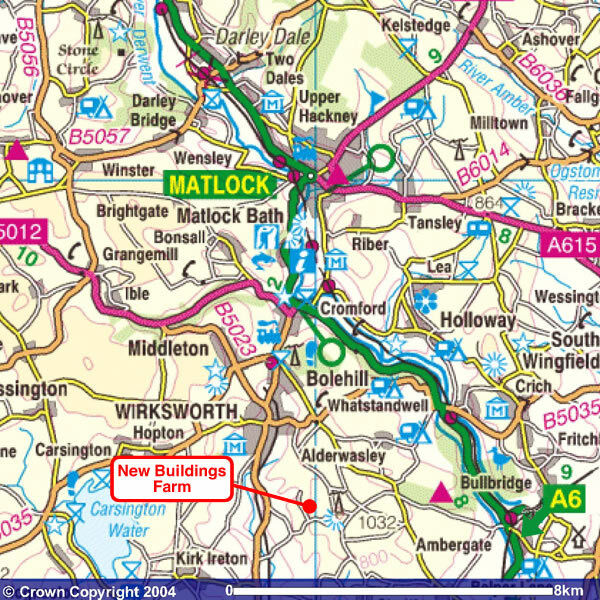 The first time people come to New Buildings Farm, they think that it is miles from anywhere. SAT NAVS take you to the middle of our postcode which is a huge area, so please put in New Buildings Farm, Taylors Lane, Ashleyhay, DE4 4AH DO NOT GO ALONG LANE END !!!! Head up the road and turn left at next grassy triangle onto Taylors Lane (or follow directions below). However, after you’ve been once, it is actually easy to find. In order to help you avoid getting lost the first time, here are some directions. Welcome! Told you it wasn’t so hard!